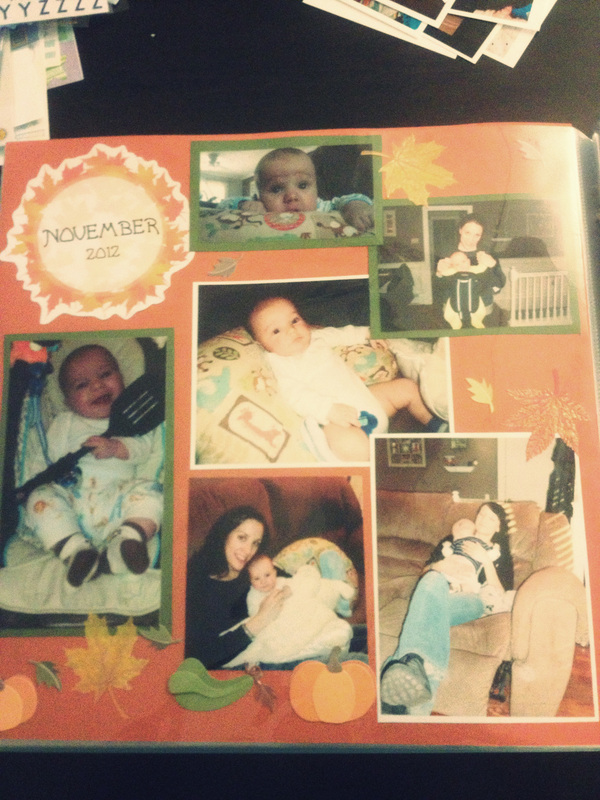 My sister had a baby last August and I had decided that I was going to make him a scrapbook for his first birthday with a grouping of pictures from each month on several pages. This project started out fine, printed out a bunch of stuff, had a bunch of pages planned out... then ohhhhhhh I don't know I got busy, tired, lazy, ADD kicked or maybe all of the above in no particular order? Procrastination - it happens sometimes, usually when I start a project I have to finish it right away but every once in a while I fall behind and then find myself scurrying around like a mad women! Needless to say Cole's birthday is in a couple of weeks! I still need to create pages for Feb - August of this year in his scrapbook! 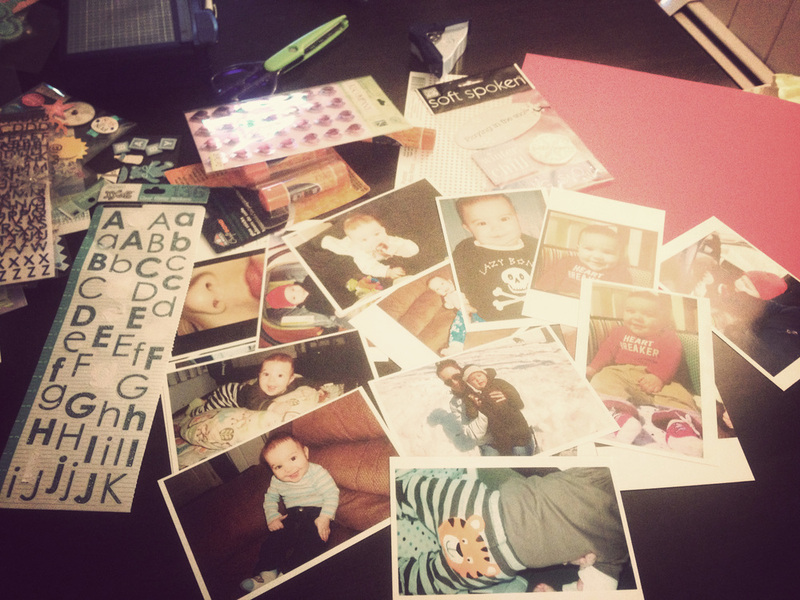 I started today by printing out the pictures, I will continue on with this project tomorrow into the rest of this week. My mission is to complete it up to date by this weekend! Here are some pix of some pages, I will post more when its finished. Can't wait to give it to him on the 16th! Not that he's going to care much right now but I know Vicki and Justin are going to love it!